When kids follow the conventional diet and exercise habits of adults, they may end up doing more harm than good to their body and mind. 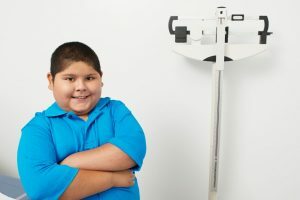 According to ABC, experts have found that eating disorders, as well as negative lifestyle choices that adversely impact health, have become surprisingly common amongst children whose parents influence them with unrealistic expectations about what they should look like. As a parent, you should not be severely restricting what your child eats, even if he or she is overweight or obese. You also shouldn’t be forcing him or her to perform a strict workout routine. These are not the most effective, nor the safest, ways to get your child to a healthy weight and a healthy body. Bottom line: kids should not be losing weight using the same tactics that adults often use, such as severe calorie restriction and extremely tough workouts. Because kids are growing, they need to eat plenty of food, but that food needs to be packed with nutrients. The best way to ensure your child is getting the right nutrients every day through his or her diet is by providing your family with lean, healthy, natural foods at every meal. Variety is the key, so incorporating a range of fruits, vegetables, whole grains, legumes, beans, and other low-calorie and nutrient-rich options is wise. In addition to eating right, kids can also get moving by doing activities that they enjoy. These include joining their school’s sports team and discovering the pleasures of working and succeeding as part of a team. Kids can also participate in just an hour of physical activity that’s moderate or vigorous in terms of intensity in order to get the heart rate up, the blood pumping, and the calories burning off. Exercising intensely all the time at the gym is not recommended, as it can become harmful to a growing child. Dieting for kids isn’t like dieting for adults, and the same holds true for exercise. Provide guidance and support in the right way so that your child can learn to love eating right and being physically active for overall health.